In what can be classified as a “better late than never” move, Volkswagen confirmed that the 2017 Volkswagen Tiguan is set to arrive at the Frankfurt Motor Show. After all those spy photos, leaks, teasers and camouflaged photos, it was bound to happen. The German company made it official that the new SUV will debut on September 15. The 2017 Tiguan is set to replace the first generation of the SUV, which also debuted at the Frankfurt Motor Show back in 2007. It’s been eight years, but the second generation of the popular SUV by Volkswagen is finally here. Since 2007, Volkswagen has sold more than 2.6 million units of the Tiguan, making it arguably one of the most popular SUVs on the market. Not much can be said about the new Tiguan judging by the first photo by Volkswagen, as the official image that Volkswagen released hides virtually all of the body of the new Tiguan. The caption doesn’t help either, as the caption only reads that the first 2017 Tiguan scheduled for Frankfurt Motor Show has rolled off the Wolfsburg factory line. 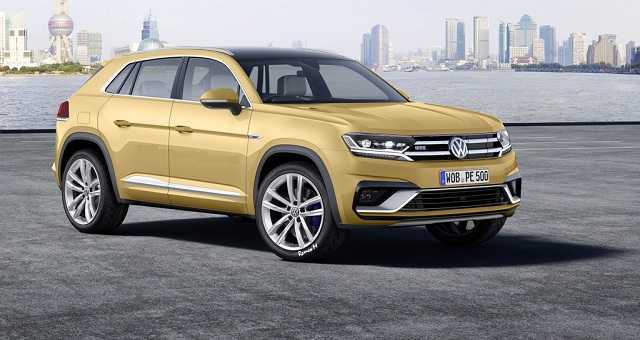 However, previous leaks about specs suggest that the 2017 Tiguan will draw several design lines from the CrossBlue Concept and the CrossCoupe GTE. Some of the new design lines that fans can expect are the new grille, headlights, and a sporting roofline, giving the car the required dynamics and aggressiveness. Some reports suggest a long-wheelbase model of the 2017 Tiguan, which would be interesting to see how Volkswagen will manage to fit into the lineup. Performance wise, specs are yet to be released. 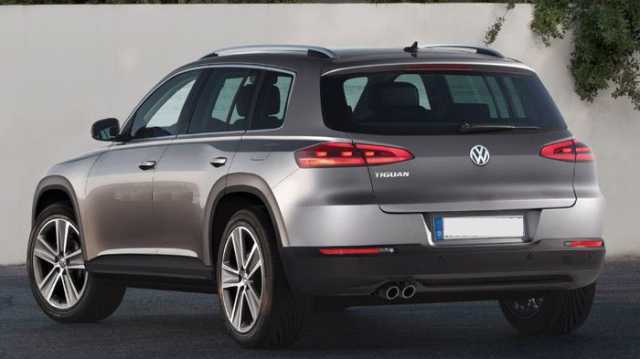 However, we know for sure that in addition to the standard Tiguan, Volkswagen will also release Tiguan R trimming that will offer much better performances. Some rumors are that the Tiguan R might come with 300 ponies under the hood, with similar speed performances as the Golf R.
Volkswagen will offer the new 2017 Tiguan with petrol and diesel engines that the company used for the latest Golf. However, both engines will be limited to four-cylinder turbocharged engines. However, Volkswagen might be able to add a plug-in hybrid model shortly, but that dream is at least two years away from becoming a reality.